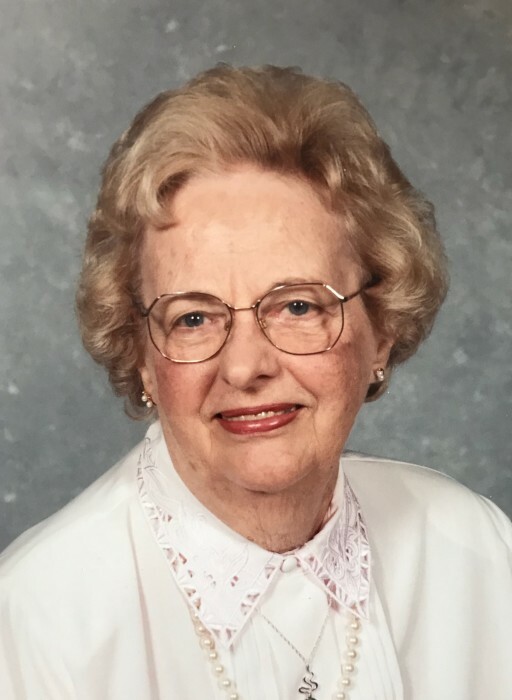 Sieda M. Buss, age 99, of Newtown, PA died January 24, 2019.Born in Bethlehem, PA, she lived in Trenton, NJ before moving to Yardley, PA 60 years ago. She has been at Pennswood Village for the last 16 years. She was preceded in death by her husband, Ernest in 1995. She graduated from Bethlehem Business College and was employed by the Bethlehem Steel Company before marrying and moving to Trenton. She was employed by the Delaware River Joint Toll Bridge Commission as an executive secretary and was active in the Lower Makefield Women's Club and the First Presbyterian Church of Morrisville. She was an avid bridge player and enjoyed reading, gardening and traveling with her husband. She was a member of the Order of the Eastern Star. Daughter of William K. MacMorris and Matilda Koehler MacMorris, she is survived by a son and daughter-in-law, Ernest William and Mary Anne Buss of Hingham, MA, a daughter and son-in-law, Catherine and Robert Vogler of Meyerstown, PA, a grandson, William A. Buss and wife Jill of Leesburg, VA and their three daughters Megan, Emily and Carly, a granddaughter, Martha A. Smith and Scott Washburn of Marshfield, MA and two sons, Brody and Cameron, and nieces andnephews Carol Denz, Carol Jurasits, Richard Buss, and Robert Buss. A service and interment will be held privately at the convenience of the family. Memorial contributions can be made to an organization of their choice. The family would like to offer a special thanks to the Barclay community at Pennswood for the love and caring they showed their mother. Her time was enriched by their daily interactions.